At Hollins you’ll find diverse cultures and ideas. Ours is an atmosphere that respects and encourages open discussion. 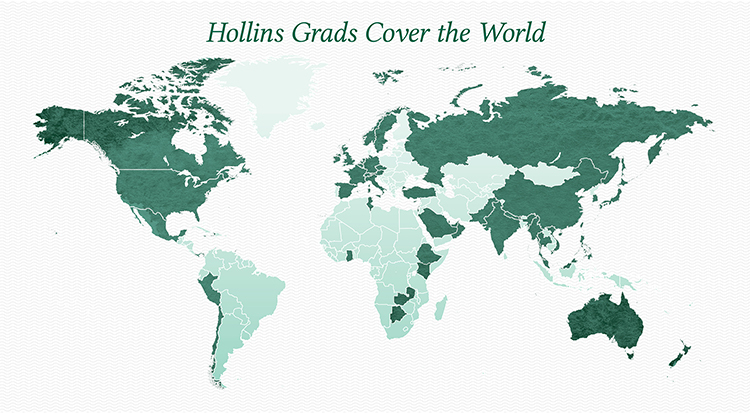 Hollins students benefit from a global alumnae network spanning 54 countries that opens doors to internships, careers and connections that last a lifetime. International students join our community as first-year students, transfer students, or exchange students. Information provided here is designed to help you learn more about academic and cocurricular life at Hollins, while also providing details about requirements to apply for admission. How to apply First-year student: I am currently completing my secondary education. How to apply Transfer student: I have begun my post-secondary education at a university. How to apply Horizon student: I am over the age of 24. We welcome our international students! This page will furnish you with information and contacts to help you along the way. An educated woman can be a powerful agent for social and economic change. Yet, so many women are unable to realize their potential because they lack the resources to pursue enlightenment and inspiration. More than ever, women on a global scale need institutions of higher learning that focus on opening doors of opportunity to them. At Hollins University, our mission is providing undergraduate liberal arts education for women from around the world. A key part of that calling is preparing students for fulfilling lives so that they can be a positive force in their communities. To uphold our promise to women’s education worldwide, we are proud to offer the Hollins Global Commitment Scholarship. This award covers 100% of tuition for five deserving international students. Interested in becoming an entrepreneur, CEO of a Fortune 500 company, or strategic lead in a multi-national company? Join us July 14 -27, 2019 for a 14-day business-focused program on one of Virginia’s most beautiful campuses. Schedule an informal Skype Interview with a current student or staff member. Questions? Contact Tisha Grande at grandetn@hollins.edu. 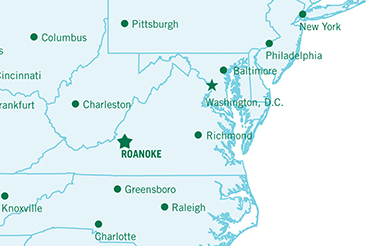 Take a look at our virtual campus tour and see for yourself why women who are going places start at Hollins.